“The Walking Dead” often catches a lot of flack for its lack of plot movement in many episodes, but “Bury Me Here” was definitely not one of those. No, this week was extremely eventful — plans were carried out, people died and a certain former violent-crazy-person-turned-pacifist returned to his old ways. 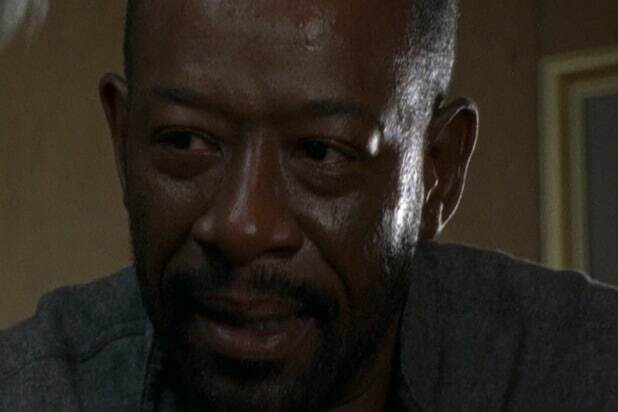 Yep, this week gave us two major character deaths and the first real development in Morgan’s (Lenny James) personal arc in years. And it was great. As we know, Richard (Karl Makinen) has been itching for the Kingdom and Alexandria to get into a straight up fight with the evil Saviors for a while now, but his plans to make it happen were always foiled — the most recent instance being when he wanted to use Carol as bait to force King Ezekiel’s (Khary Payton) hand a couple weeks back. Richard has gotten desperate, apparently, and in “Bury Me Here” he tried to goad the Saviors into killing him in hopes that it would finally make Ezekiel take action. Richard was so into this plan that he even dug his own grave beforehand. But things didn’t go as planned. When Richard tossed a cantaloupe from the Kingdom’s tribute to the Saviors, they killed Benjamin instead of Richard. Richard, feeling immense guilt, confessed what he’d done to Morgan. Morgan had, frustratingly, refused to take any violent action for a while now, but Richard’s bad plan pushed him over the edge. The next day, when Ezekiel and co. met with the Saviors again to deliver the last cantaloupe, Morgan strangled Richard to death. And, with that, Morgan was back. In the final shot of the episode, we see Morgan sharpening his stick. We can only imagine what kind of holy hell he’s going to unleash in Season 7’s last three episodes. 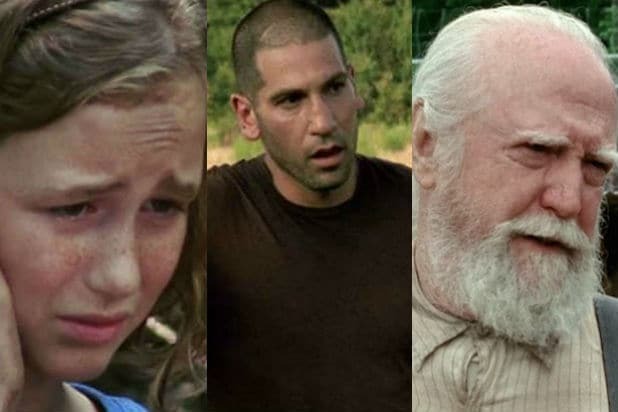 Not surprisingly, these major developments had quite an effect on “Walking Dead” fans on Twitter, who had pretty strong — and even excited — reactions to the return of Morgan’s murderous side. Check out some of the best reactions below. morgan: all life's precious. i don't kill anyone.